Bow vent damage and is missing screen. Interior Just a note the motor box has issues with rot. 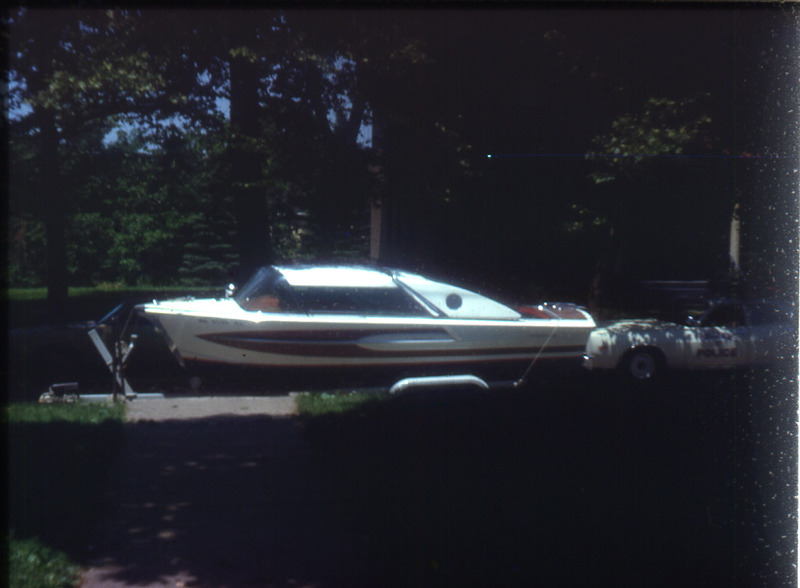 The trailer does not fit the boat well. Closer look at transom frame rot. Also note the upright frame was pieced together. Bottom frame rot under the rear seat near the thrust plate. Other side of transom frame with rot. Framework in engine area, looks ok.
Damage inside of bow. Filled with body filler on outside. 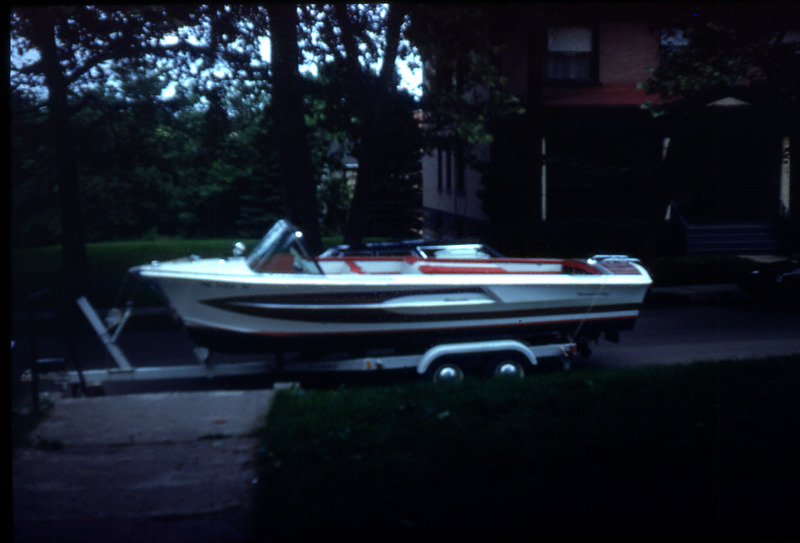 Your boat when it was in Pittsburgh in the early 1980s. Without the top as it arrived. The next day with the top and ready to return to Minnesota. 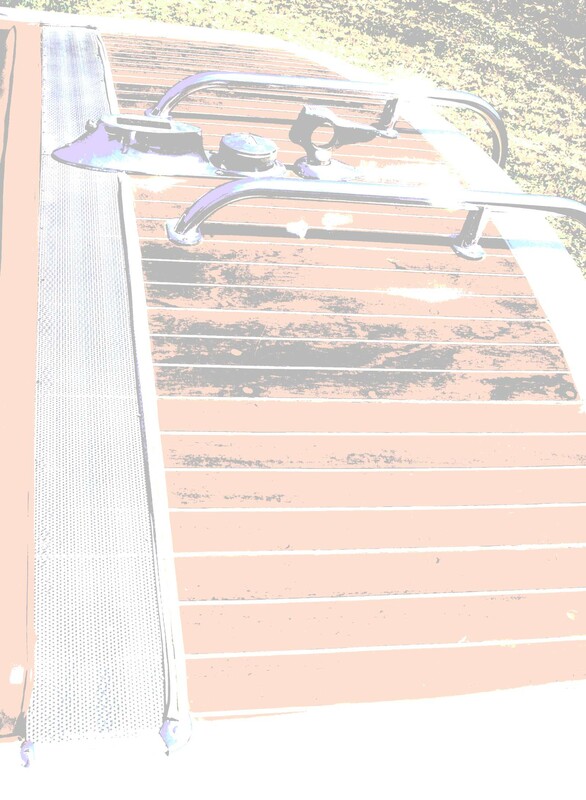 The bottom was painted black at that time, we told them that was not original. 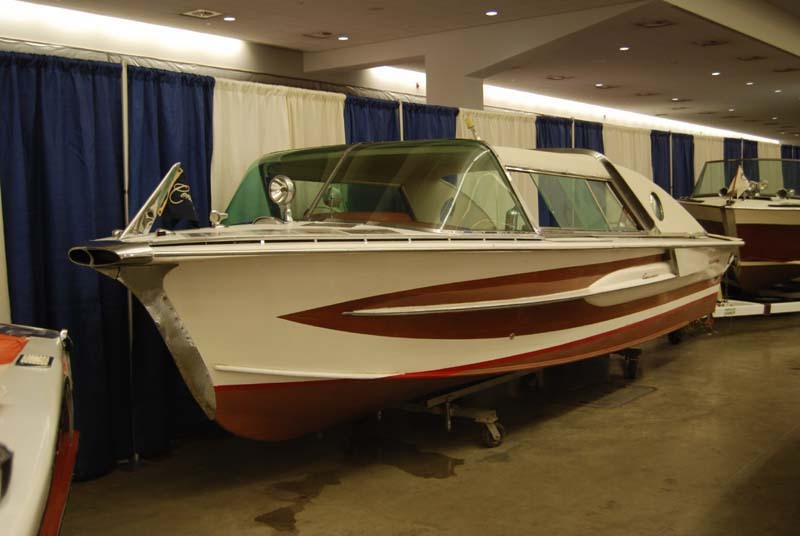 The boat on display at the 2009 Pittsburgh Boat Show, January 2009.